The Hansom Cab | Pub Quizzers | Find a pub quiz near you, now. 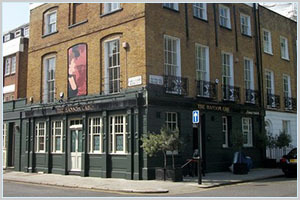 Pub quizzes take place at The Hansom Cab, Kensington on Sundays (weekly) at 19:00. Entry is £2.00, you can have up to 6 people on a team. There are prizes of cash, spot prizes. Happy quizzing! Rolling jackpot and weekly £30 bar tab to be won! Categories include: Music, TV & Film, Sport, Current Affairs, General Knowledge, Science & Nature, History, Geography, Food and Drink.